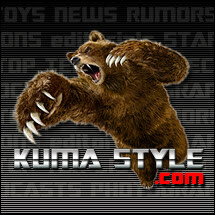 Toy Nippon: BBTS News: Transformers, Hot Toys, DC, Metal Gear Rising, Iron Man, SH Figuarts & More! BBTS News: Transformers, Hot Toys, DC, Metal Gear Rising, Iron Man, SH Figuarts & More! Kids Logic is continuing their line of 6" Transformers figures with Starscream. He has lighting effects, stands about 7" tall, comes with gun mode Megatron with light and sound, and is listed at $129.99, $10 off the MSRP. Preorders are up for Star-Lord ($234.99), Gamora ($199.99), Groot ($199.99), Rocket Raccoon ($159.99) and the Set of Groot & Rocket ($359.99). These figures from the hit movie are sure to be popular, so be sure to get your orders in. Michael J. Fox's Marty McFly is also getting a Movie Masterpiece figure. He comes with his signature outfit, his skateboard, a video camera and more, and is listed at $224.99. A bunch of new Hot Wheels have gone up from Marvel and Star Wars including starships, car packs and playsets. The latest DC characters to be reimagined by Square Enix are Hawkman and Darkseid. Hawkman comes with golden wings and a variety of weapons, and is priced at $119.99. Darkseid is designed as a warrior monk and comes with omega blasts for his eyes. He is listed at $99.99. This assortment by new vendor Warpo includes the Spawn of Cthulhu, a Cultist, a Professor and a Deep One. They are available as a Set of four (one of each figure) at $79.99, with singles available of the Spawn of Cthulhu at $19.99 each. This piece stands over 12.5" tall and includes a red LED effect in his eye as well as a blade that can be held or sheathed. Raiden is priced at $249.99. This figure measures almost 9.5" tall and comes with lighting effects, alternate hands, a golden mask and a display base. This piece is listed at $189.99. Our newest listing from XM's fantastic line is their version of the Mark XLII armor from "Iron Man 3". This 1/4 scale piece stands about 19.5" tall on its base and is made from cold-cast porcelain. It comes with alternate arms, three interchangeable heads (including one of Gwyneth Paltrow as Pepper Potts) and is limited to 500 pieces. We have this piece listed at $659.99. The Destroyer Droid, the Imperial TIE Fighter, the Star Destroyer and the X-Wing are the next four kits in this line. Each of these self-contained kits is listed at $11.99. Kids Logic is also releasing a 3" clear version of Air Commander Starscream. He makes a great companion piece to his 'big brother', and is listed at $19.99. Jek Porkins was a member of Red Squadron and died battling the Empire over the Death Star. This bust stands 6.8' tall and can be displayed with or without visor. It is listed at $79.99. The latest release in Gentle Giant's line of Kenner Jumbo figures is the AT-AT Driver. He comes with his laser rifle and is listed at $84.99. This towering figure glows in the dark and is limited to 250 pieces worldwide. He is listed at $499.99. This set contains the villain responsible for the Flashpoint storyline, as well as one of the heroes that worked to fix it. Each piece measures about 5.25" tall and the set is available for $49.99. This new version of last year's popular kit includes newly tooled parts for the terminal stage, and will create a rocket about 4.5' tall. It will include a Skylab, a stable circular base new painting and markings and more. This set is listed at $289.99. Characters from Seasons 1 and 3 of the popular show are on their way from Funko. We have listings for Tate Langdon, Rubber Man, Fiona Goode, Cordelia Foxx, Marie Laveau, Misty Day, Myrtle Snow and Papa Legba, and each is listed at $9.99. Now you can open your bottles with the help of a Dalek, the TARDIS or a Sonic Screwdriver! Each has an appropriate sound effect when used, and the first two are priced at $14.99 each, with the Sonic Screwdriver priced at $19.99. This import figure shows Optimus as he appears early in the movie. His paintjob has simulated rust and weathering effects, and he comes with his laser rifle. He is listed at $64.99. This powerful figure stands 12" tall and has a bendable tail and sound effects. He is priced at $49.99, saving you $17 off of the MSRP. NECA's new Classic POTA series has just arrived. This first Case assortment of 14 includes five each of Dr. Zaius and Gorilla Soldier and four each of Cornelius; this case is listed at $229.99, saving you $85 off of the MSRP. We also have these figures listed as a Set of three (one of each) for $52.99, with singles of Dr. Zaius and Gorilla Soldier available at $17.99 and $21.99 each, respectively. Famed designer Luis Royo has come up with a new design for Catwoman. She stands 13" tall with her base, is limited to 1000 pieces worldwide and holds her trusty whip in her hands. This statue is listed at $229.99, saving you $20 off of the MSRP. This robot can change into a futuristic police motorcycle, and will become a leg for the Prometheus combiner figure. It is priced at $99.99. Playmates has based these figures on their look in the 1990 movie, and we have them as a Set of 4 at $79.99, or individually at $20.99 each. We have small quantities available of the domestic releases of both of these figures. Masterpiece Prowl is listed at $99.99, while Masterpiece Sunstorm is listed at $119.99. The Shippuden version of Naruto comes to the S.H. Figuarts line at last. His figure comes with alternate hands, expressions, a headband, weapons and effect parts, and is listed at $39.99. A main hero of the Dragonball franchise, Son Goku stands almost 6" tall and comes with alternate hands and faces, as well as his Kamehameha effect. He is priced at $39.99. The new Android 18 figure comes with alternate parts for Krillin (sold separately) as well as alternate hair, arm, hand and face parts. She is priced at $38.99. Sailor Jupiter comes with alternate hair parts, an articulated pony tail, alternate faces and hands and a display stand. She is listed at $40.99. The Black Ranger comes with his golden armor, as well as alternate hands and his weapons. He is listed at $64.99. You can build a powerful force of Alien baddies from these 4" offerings. The Alien Soldier, Alien Boiler, Alien Spitter and Alien Lurker are all currently in stock, and they are priced at $22.99 each.